We made it around 10 and it was already hopping at the Grand Geneva. Great con to wander around in, but like all small cons, if you don’t have a game going on, there’s not a ton to do (except eat and drink!). It was far from the mass insanity of Gencon. We pretty much played Numenera all day as the Into the Odd game I wanted to get into is going on NOW rather than when I though it was. Location – The Grand Geneva is just that, it’s a grand hotel on massive acreage. in summer you wouldn’t have caught me dead inside any buildings there. 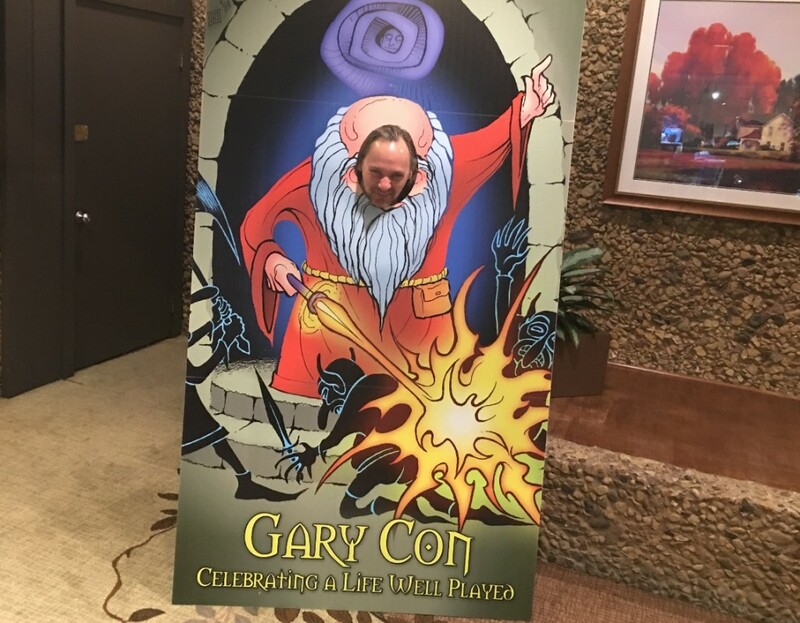 Focused convention— Gary Con is an old school D&D convention with all that that means and all that that excludes. There were no LARPers, very little cosplay, few board games– people were there to game as well and not jag around. General friendliness- it’s Wisconsin after all. WI people are a grim folk generally, but they are nice. The staff at the grand Geneva were very friendly and accommodating. Lots of indy stuff. There were games played that have never and will never see wide publication or even publication outside of someone’s typed up notebook. Gaming – a bit more chaotic to try to get into games, and yet the con is so small you could just walk around and find the people that you want to play with. Next year I will probably run something (Lamentations most likely). Large Beards. Some of the biggest I’ve seen. So yes, for sure next year. Previous Previous post: Gary Con tomorrow!